Home > News > Revealed: The 2015 CRN Fast50! Revealed: The 2015 CRN Fast50! Meet the fastest-growing IT service providers in Australia. 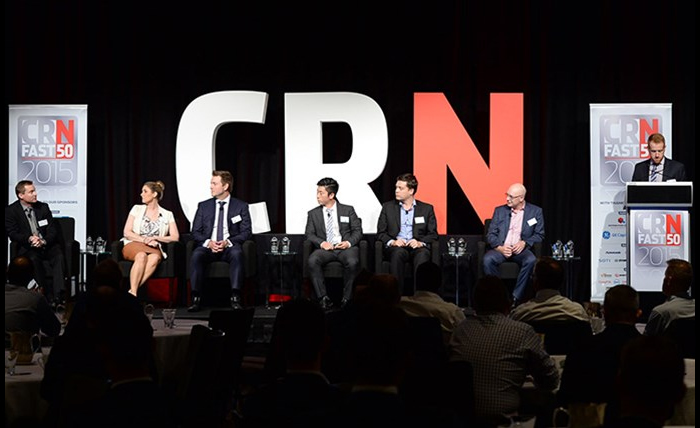 CRN is pleased to announce its seventh CRN Fast50, an annual list of the fastest-growing IT service providers in the Australian technology industry. At a glittering awards ceremony at the Four Seasons in Sydney on 26 November, CRN named Sliced Tech as No.1 on the list. The Canberra IT provider almost tripled in size between the 2014 and 2015 financial years, with 192.03 percent growth. Second place went to EFEX Group, a Sydney-headquartered print service provider, and third was clinched by Cirrus Networks, a Perth-based company that recently went public on the Australian Securities Exchange. Details on the other 47 winners, including the entire list, a full breakdown of their stats and analysis of the numbers will be published in the December issue of CRN magazine, due out next week. This year, the largest contingent of CRN Fast50 companies hailed from Victoria, with 19 entrants, with the rest from New South Wales (13), Queensland (8), Western Australia (6), the ACT (3) and South Australia (1). Overall, the CRN Fast50 generated $665.1 million of revenue. They grew by more than $250 million year-on-year. The average growth rate was a staggering 67.5 percent, the fastest since the awards program began in 2009. CRN editor Steven Kiernan said: “It was fantastic to recognise this phenomenal array of high-performing IT companies. Clearly, the Australian IT channel is in rude health. “This year’s CRN Fast50 was the toughest competition we have seen, with even the lowest-ranked company still growing an impressive 26.05 percent. “The 2015 crop of CRN Fast50 companies proves there is no single road to success in the Australian technology industry. They are an agile and diverse mix of trusted advisors. To achieve a position in the CRN Fast50, companies must be service-oriented and customer-focused. “They came from every corner of the market and all sides of the country. This year’s CRN Fast50 includes hardware resellers, software developers, communications experts, network integrators, managed service providers and many other flavours of tech specialists,” he said. CRN also recognised a number of companies with special awards. The 2015 CRN Fast50 Icon Award – as voted by the CRN Fast50 companies themselves – went to Brisbane powerhouse Data#3. The CRN Fast50 Editor’s Award, judged by the CRN team, was won by VMtech, a Sydney IT provider that specialises in infrastructure and cloud services. The CRN Fast Leader award goes to the largest company on the list. This year that mantle was held by Empired, a $128 million business that combined speed with scale, having grown dramatically over the past few years via acquisitions and organically. CRN also gave a special recognition to Melbourne’s Blue Apache, the only IT provider to have secured a ranking on every CRN Fast50 since the list began in 2009.